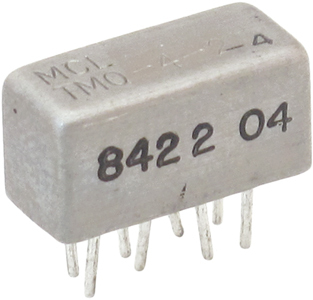 M/A-COM AMP surface mount RF transformer. 2 - 800 MHz, 1:4 flux coupled step up. Cellular and wireless applications including single to balanced mode conversion and impedance matching. Tape and reel. NOTE: Surplus Sales is NOT an authorized Mini Circuits distributor. Our Inventory is Excess Stock from OEMs & Distribution. We GUARANTEE OUR MINI CIRCUITS DEVICES ARE AUTHENTIC and GENUINE. Surplus Sales will REPLACE OR REFUND YOUR PURCHASE PRICE!